Chidinma Inspirations: Ever Seen A Pregnant Ferret Before? Be Prepared To Be Amazed! Ever Seen A Pregnant Ferret Before? Be Prepared To Be Amazed! God is just beyond AWESOME! The way He creates things just leaves you speechless, amazed and in awe. 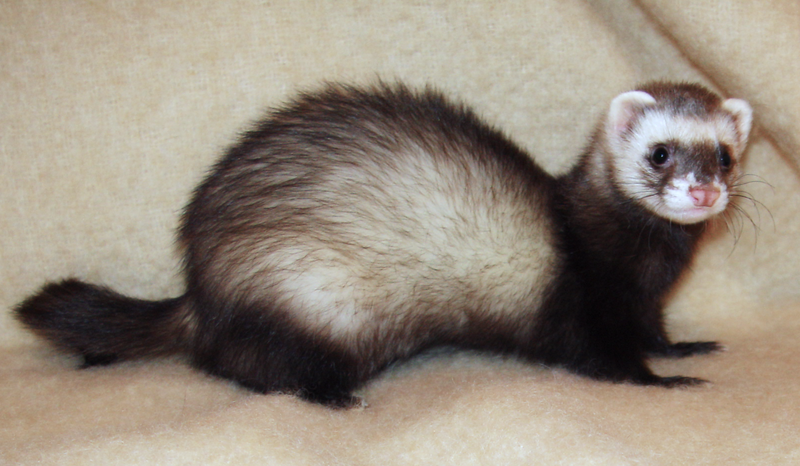 The above is a picture of how a pregnant Ferret looks like. I have so many questions, how will it move? Does it only get to lie down till it gives birth?... They give birth 42 days later. A pregnant Ferret needs to be in a quite place to allow it from being stressed and when she gives birth, she doesn't allow people to look or see or carry her babies if not she might get anxious and may bite (craftycreatures.com). God is the MASTER CREATOR I tell you! God is great. BTW today is my birthday and am so grateful to God for the gift of life. Yeah, God is indeed great! Hey Paul! Really? Happy Birthday Paul! Please do send your picture to my email let us celebrate you. LOL. Yeah, God is beyond awesome! Thanks all for your messages. I do really appreciate. I'm very happy to inform ya all that all hope isn't lost at all. this message is to the BARREN WOMEN, IMPOTENT MEN, and any one in-need of the fruit of the WOMB. My NAME is AMANDA SMITH from the STATES. I was Married for about 18 years and was unable to conceive. i have done series of Test and the Result was that i wont be able to bear any CHILD because i was BARREN. I cried and cried because my Husband threatened to get married to someone else. I shared my marriage story with my parent in France and they told me about a spell caster that help auntie MISSIE cast a pregnancy spell when she needed a male child. i contacted the spell caster and told him about my BARRENNESS.